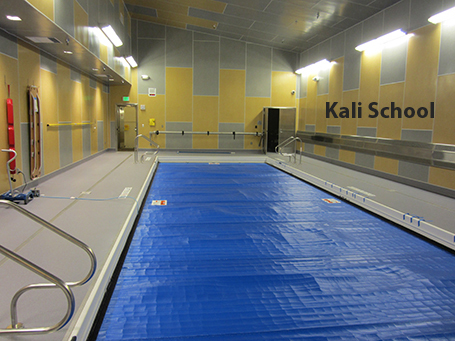 In March 2011, the North Slope Borough School District commissioned Counsilman-Hunsaker and Burkhart Croft Architects to provide a facility audit for two swimming pools in the district, Kali School and Nunamuit School. The school district commissioned this audit to identify items that were substandard, not to current Alaska’s Department of Education and Department of Environmental Health swimming pool requirements, or not operating as designed. New swimming pool technology was discussed to address current challenges experienced in relation to operating the pools. The goal of the audit was to assist in defining a course of action regarding the future of the pools. In addition, this audit prioritized recommended repairs which would bring the pools up to current swimming pool health codes and industry design standards. Upon review of the audit findings, the North Slope Borough School District retained Counsilman-Hunsaker and Burkhart Croft Architects once again to replace the existing swimming pools at both locations. The new swimming pools provide the local community with a safe and accessible place to swim and learn water confidence skills. 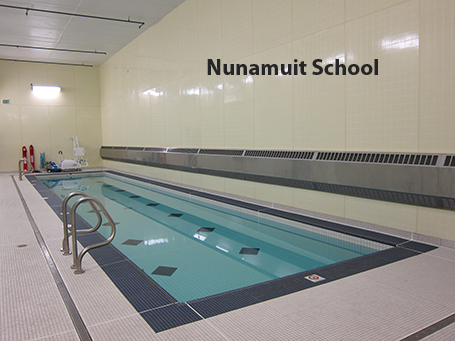 The new pool at Nunaumuit School in Anatuvuk Pass, Alaska, completed in December 2012, contains a 500 sq. ft. indoor, two lane, 50 ft. by 10 ft. pool.